Hummus is an Egyptian food dip or spread made from cooked, mashed chickpeas blended with tahini, olive oil, lemon juice, salt and garlic. You can try it smeared onto your sandwich, baked on fish, or made into a flavourful dip to perk up vegetables, chips or pretzels. 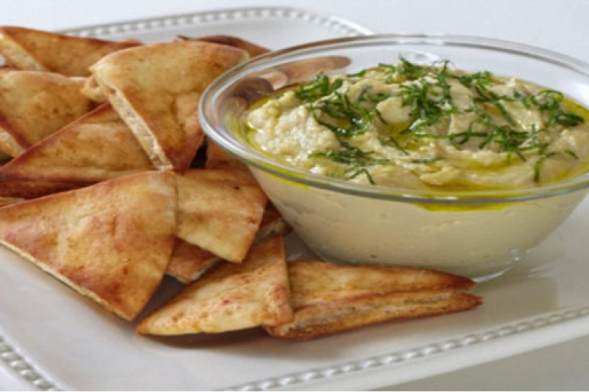 This creamy Mediterranean dip is simply irresistible and helps keep you feel full after you eat it. You can even turn into a dressing for salads, spice it up with your favourite salsa or spread it on hamburgers. While the basis of this tangy, nutrient-packed dish remains the same — chickpeas, sesame paste, lemon juice and garlic — hummus offers nuances depending where you are and who is making it. Falafel is made from a mixture of soaked chickpeas and fava beans which are ground and mixed with herbs, spices and sometimes things like scallions. The ground chickpea and fava bean mix is then formed into small balls or patties, and fried or baked to create delicious, crunchy falafel. 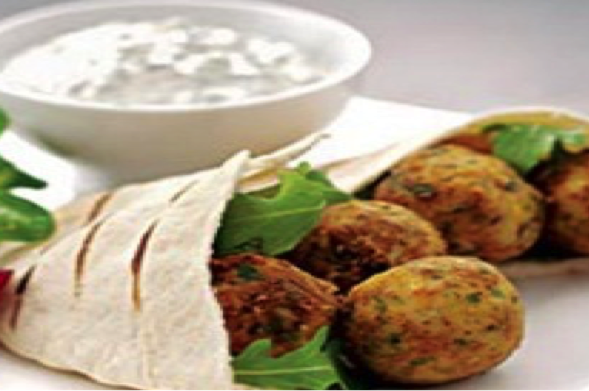 The finished falafel is eaten as an appetiser and is often served along with pita sandwiches. This typical Middle Eastern food is becoming increasingly popular due to the fact it is tasty, easy to eat, and a great source of protein – particularly for people who don’t eat meat. Whether you are already a fan of falafel or are yet to try it for the first time, you will surely agree that it really is a versatile, nutritious and tasty food well worth celebrating! An enchilada is a corn tortilla rolled around a filling and covered with a chilli pepper sauce. 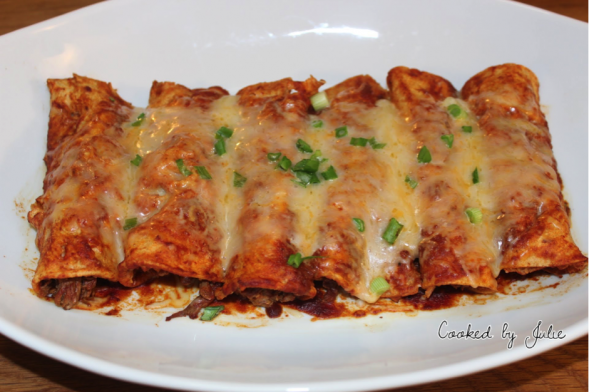 Enchiladas can be filled with a variety of ingredients, including meat, cheese, beans, potatoes, vegetables, seafood or combinations. By replacing the fillings with rajma, paneer and some herbs and spices, you can easily give it an Indian touch. This Mexican street food is gradually finding a place in the menu of several restaurants of the country as it offers us a blend of taste and ethnicity. Chimichanga is a deep-fried burrito prepared by filling a flour tortilla with a wide range of ingredients, most commonly rice, cheese, carne adobada or shredded chicken, and folding it into a rectangular package. Rice, beans, sour cream and salsa are common accompaniments for this Mexican-inspired fast food item. This delicious dish is the best option if you wish to experience the flavours of Mexico. Chimichangas are a delight for both non vegetarians and vegetarians. 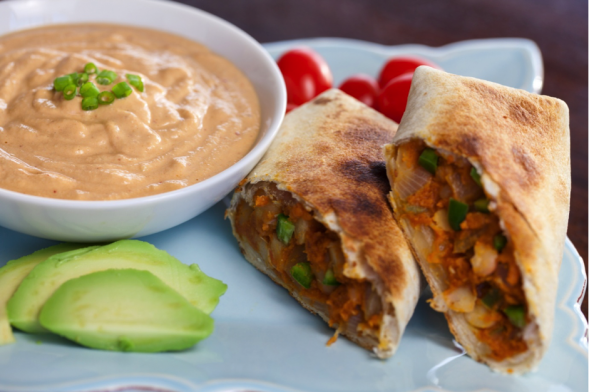 Whether it is prepared by baking chicken, beef and pork or with cilantro, corn and beans, each bite of the burrito is savoured! Bruschetta is a starter dish from Italy consisting of grilled bread rubbed with garlic and topped with olive oil and salt. Variations may include toppings of vegetables, beans, cured meat, cheese, basil, fresh tomato, garlic, onion or mozzarella. 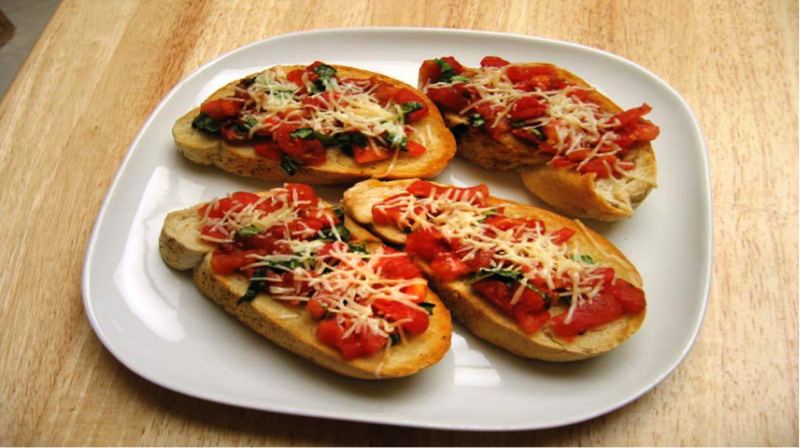 So essentially Bruschetta is a very healthy appetizer that is ideal for those who are on a mission to kill obesity. Served warm or cold and loaded up with seasonal favourites, it can be made for any season or occasion. And it’s more than just a before-meal treat! 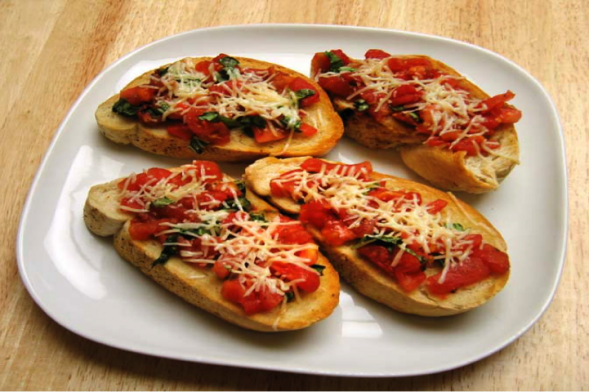 Bruschetta can be a meal in itself! Som Tom is a classic raw papaya delicacy from Thailand tossed with garden fresh beans, light soy sauce and palm sugar dressing that brings out the sweet flavour of the raw papaya perfectly. This mouth watering dish can be eaten any time of the day as a healthy snack or as a refreshing light meal. 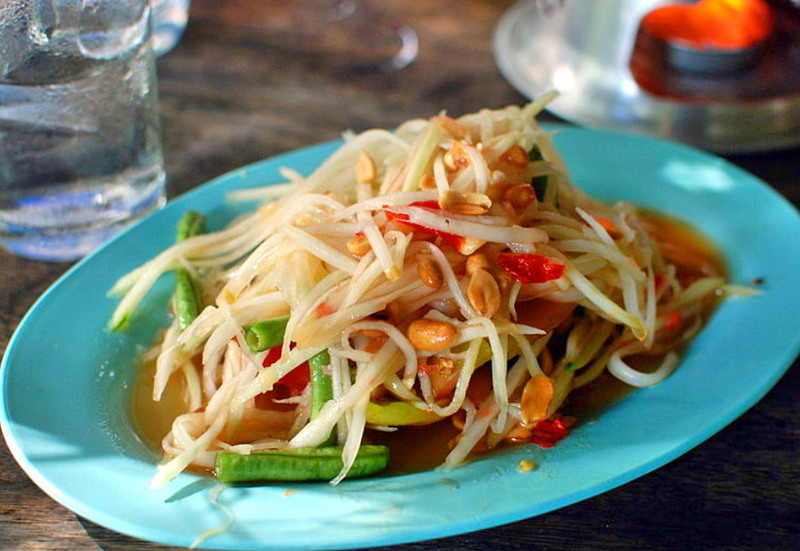 In addition to the standard ingredients of shredded green papaya, garlic and chillies, cucumbers and green mangoes are often added to it, making a different type of som tam salad but with a similar texture. 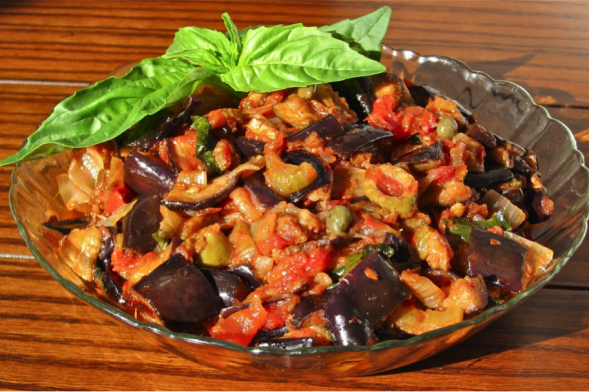 Caponata is a Sicilian eggplant (aubergine) dish consisting of a cooked vegetable salad made from chopped fried eggplant and celery seasoned with sweetened vinegar, with capers in soy sauce. 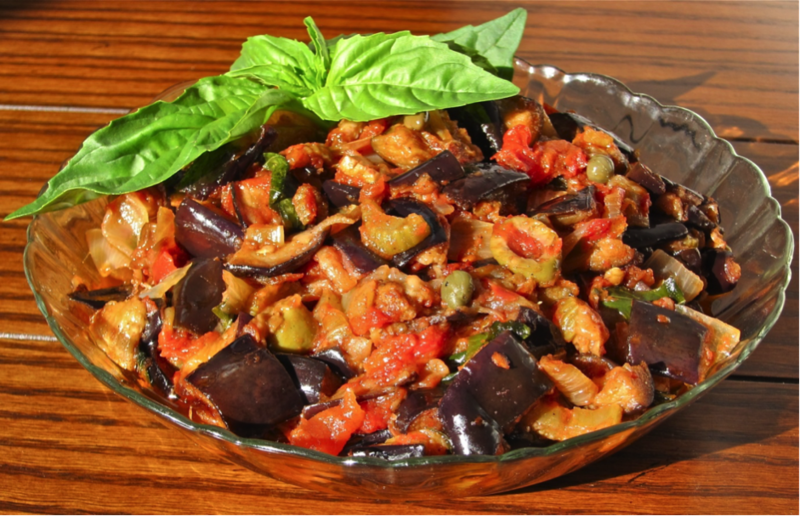 It is typically used as a side dish for fish dishes and sometimes as an appetizer, but it has also been used as a main course for some time now. Packed with extra-virgin olive oil, raisins, pine nuts, herbs, sugar, and a slew of other ingredients, it is pleasantly flavourful when tried for the first time. What is special about this dish is that it offers a combination of various tastes like salty, tangy and sweet all together!